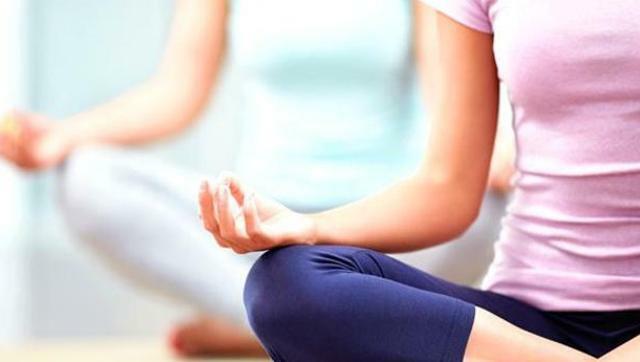 Strengthening your resilience with mindful meditation or yoga can help keep the doctors away, thereby reducing your health care cost, says a new study. Resilience can be enhanced with practice, starting with the relaxation response — a physiologic state of deep rest induced by practices such as rhythmic breathing, mindfulness meditation, yoga, tai chi or prayer, the study said. The researchers found that people who graduated from a resiliency-boosting programme used considerably less health care services in the year following the course compared with the year before. “We have shown in the past that it works in the laboratory and on the level of individual physiology, and now we can see that when you make people well, they do not want to use health care so much,” said study leader James Stahl from Dartmouth-Hitchcock Medical Centre in New Hampshire, US. For the study, the researchers tested the efficacy of eight-week course developed by the Benson-Henry Institute for Mind Body Medicine at Harvard-affiliated Massachusetts General Hospital (MGH). To measure the effect of this programme called Relaxation Response Resiliency Programme (3RP) on health care utilisation, the study compared health care used by more than 4,400 3RP graduates to that of 13,150 patients who did not take the 3RP course. In the year after training, use of health care services by the resiliency programme graduates dropped by 43 percent. The researchers noted that it is possible to build resilience without any formal training. Resilience comes in part from making meaningful connections with other people, such as through volunteer work, care-taking for aging relatives, and other service work. In addition, positive psychology research shows that having an optimistic outlook and a sense of connectedness, meaning, and purpose in your life contributes to resilience. This includes learning how to identify and challenge day-to-day negative attitudes that can undermine health. 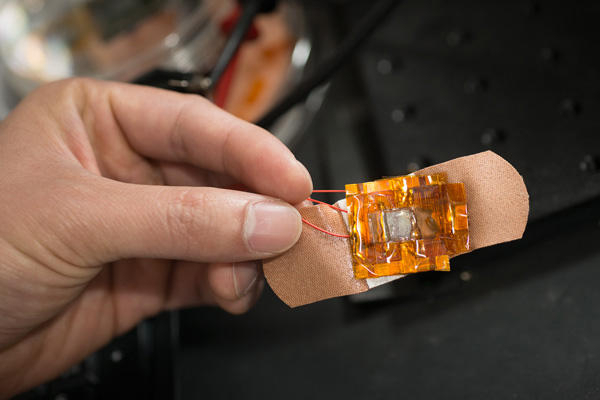 “Just like fluorinating your water or vaccinating yourself, these are ways of keeping you healthy with, from a public health perspective, minimal investment,” Stahl said. Ginger is a very good antioxidant and has anti-bacterial, antiseptic, sedative and antipyretic effect. Fresh ginger submerged in warm water, deeply penetrates the tissue, brakes down and melts accumulated mucus, initiate circulation, relieves pain, inflammation and swellings, accelerates detoxification it is very useful in the case of muscle inflammation and chronic back pain. This healing root speeds up the muscle metabolism, lowers cholesterol, helps in secretion of saliva and ingested food starch, reduces bloating and constipation, all of which contributes to weight loss. If you want to loose weight fast, add to yo meals fresh or dried ginger or drink tea made from this beneficial root. Ginger relieves headaches and contribute to a better brain function. If it in any way we use it during the day, we will be fresher and will have more strength and energy, and if in the evening we eat hot vegetable soup with an addition of ginger, we will provide our self a good rest and sleep. Ginger is rich in antioxidant, which helps in harmful chemicals removal, that our body produces when we are under worries, and thus affects the reduction of psychological stress. During this depression treatment it also impairs and the digestion process followed by occurrence of nausea, for which ginger is the ideal cure for these problems too. If you regularly use ginger, you can easily prevent and fight the flu or colds, as well as the potential complications from these diseases. Ginger will strengthen our immune system, facilitate breathing and relieve headaches. 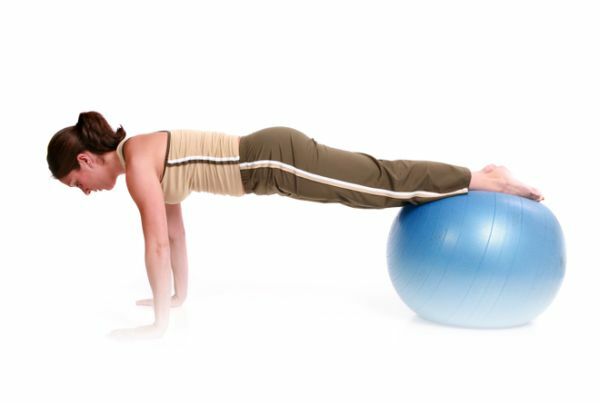 It encourages sweating, so that`s why it`s excellent for lowering high body temperatures. Since ginger has anti-inflammatory properties, it is highly effective in the treatment of rheumatoid arthiritis, osteoarthritis and other diseases of the musculoskeletal and connective tissue. Some studies show that in the case of arthritis, ginger is even more effective than other conventional drugs and medications. Herb ginger is a powerful tool for engaging of the circulatory system. If you suffer from cold hands and feet you should drink tea from this medicinal herb. Daily exercises to maintain good cardiovascular health also benefits brain, protecting us from cognitive impairment as we age, according to a promising study. Researchers found that healthy lifestyle helps maintain the elasticity of arteries, thereby preventing downstream cerebrovascular damage and resulting in preserved cognitive abilities in later life. Our body’s arteries stiffen with age and the vessel hardening is believed to begin in the aorta – the main vessel coming out of the heart before reaching the brain. “Indeed, the hardening may contribute to cognitive changes that occur during a similar time frame,” said lead researcher Claudine Gauthier from University of Montreal, Canada. They found that older adults whose aortas were in a better condition and who had greater aerobic fitness performed better on a cognitive test. “We think that the preservation of vessel elasticity may be one of the mechanisms that enables exercise to slow cognitive aging,” Gauthier added. For the study, they worked with 31 young people between ages 18 and 30 and 54 older participants aged between 55 and 75. This enabled the team to compare the older participants within their peer group and against the younger group who obviously have not begun the ageing processes in question. The results demonstrated age-related declines in executive function, aortic elasticity and cardiorespiratory fitness, a link between vascular health and brain function, and a positive association between aerobic fitness and brain function. 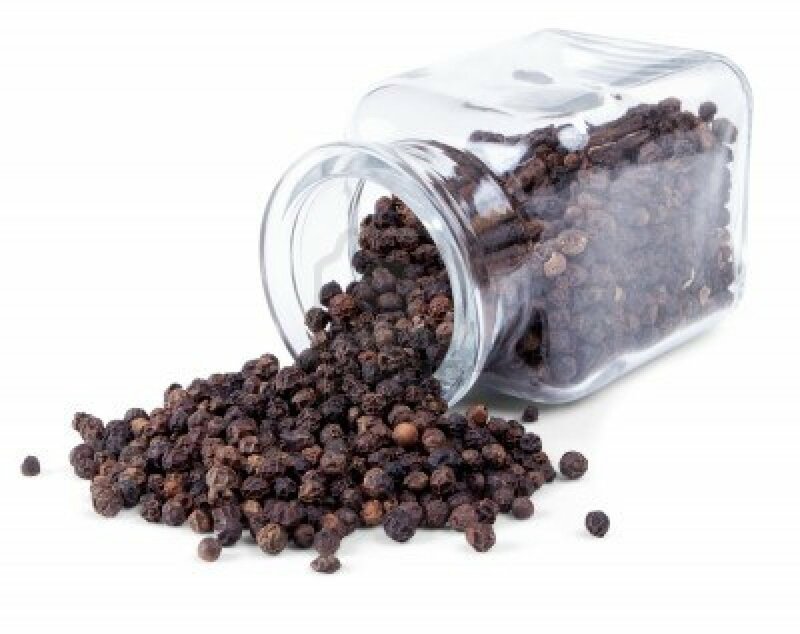 A new study has revealed that pepper reduces the risk of colorectal tumors. According to the study by researchers at the University of California, San Diego School of Medicine, the active ingredient in chili peppers – produces chronic activation of a receptor on cells lining the intestines of mice, triggering a reaction that ultimately reduces the risk of colorectal tumors. The receptor or ion channel, called TRPV1, was originally discovered in sensory neurons, where it acts as a sentinel for heat, acidity and spicy chemicals in the environment. Eyal Raz said that these are all potentially harmful stimuli to cells, thus TRPV1 was quickly described as a molecular ‘pain receptor.’ This can be considered to be its conventional function, which all takes place in the nervous system. The scientists discovered that TRPV1, once activated by the EGFR, initiates a direct negative feedback on the EGFR, dampening the latter to reduce the risk of unwanted growth and intestinal tumor development. They found that mice genetically modified to be TRPV1-deficient suffered higher-than-normal rates of intestinal tumor growths. Therefore, think again before you start preparing your fryer or pan for usage. The fried foods are delicious, but the bad saturated fat turns the potatoes into a ticking time bomb for your heart, diabetes and cancer.Bad and saturated fats are contained even in the margarine and all products labeled “partially hydrogenated”. Bad fats raise cholesterol levels and elevate triglycerides. The human body needs Omega 3 and 6 fatty acids, so it is very important to pay attention in what type of oil are the french fries fried. Sunflower and corn oil are good for use, while palm and sesame are always the best choice for frying. The potato in its natural state is really good for the human health, but it can be dangerous if its prepared in a wrong way. In its composition contains carbohydrates and sugars and when we intake carbohydrates in our body they become rapidly absorbed, which later can be used as a source of energy or get stored as fat deposits. Once you eat one fries serving it is mandatory to make some exercise or take a walk , because otherwise you will surely raise few grams from only this one meal. The scariest part that adversely will affect your body line is actually that delicious crust generated during frying. The french fries have trans fats that are common triggers of multiple types of cancer. Therefore it is best to avoid or limit the consumption of these foods. One serving per week will be good enough for you, and for the children between 3 and 5 years it is highly recommended only one serving in period of 10 days. 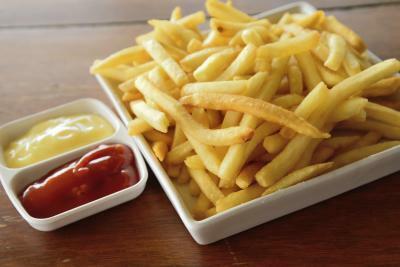 The French fries have enormous concentrate of salt, bad fats and carbohydrates, and worse than that is the potato chips. When you get hungry and you are not at your home, you’re probably opting for some packed french fries, without knowing in what kind of oil they`re fried. Another thing that you should have in mind is to eat it while is still hot. That means that before it gets consumed it has not enough time to stand in a place and then start storing dome extra fat. Replacement for the french fries? The best option would be – baked potato. 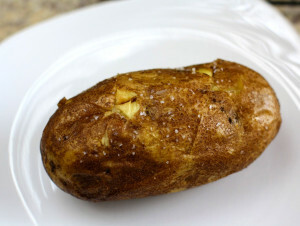 Cut the potatoes as fries, preheat the oven and on the baking pan place some sheets of paper. Well arrange the potatoes, bake it and spice up as desired. People who were treated for periodontal disease had lower healthcare costs and fewer hospitalizations for other medical conditions compared to those whose gum disease went untreated, a new study has found. “We were very surprised at the magnitude of the results,” Dr. Marjorie Jeffcoat told Reuters Health. She led the study at the University of Pennsylvania School of Dental Medicine in Philadelphia. Periodontal disease is a chronic inflammatory condition caused by bacteria that coat the surface of the roots of the teeth. If not treated, it can lead to bone loss around the teeth, infection and tooth loss. Treatment consists of cleaning the teeth above and below the gum line. In advanced cases, surgery is required. Jeffcoat said a number of previous small studies hinted that treating periodontal disease may help improve other medical conditions as well and reduce the risk of premature birth among pregnant women. To learn more, she and her colleagues analyzed claims from two Pennsylvania insurance companies to determine if costs were lower over time for patients who had their gum disease treated. “We wanted to see if it pays from a financial point of view, to treat the disease,” Jeffcoat said. For their records to be included in the study, patients had to have been enrolled in both the dental and medical plans for at least one year and have been seen at least once for periodontal disease. They also had to have a diagnosis of type 2 diabetes, coronary artery disease, stroke or rheumatoid arthritis, or have been pregnant. Treated patients were counted as those who had several follow-up appointments for gum disease coded in their records. Records for 338,891 patients were included. The study team found significant reductions in both healthcare costs and hospital stays over a period of five years among treated patients with each of the conditions except rheumatoid arthritis. On average, non-dental healthcare costs for people with diabetes or stroke were about 40 percent lower if their gum disease was treated. For those with coronary artery disease, costs were about 11 percent lower with treatment. Women who were pregnant and treated for gum disease had medical costs that were 74 percent lower than those with untreated gum disease, according to findings published in the American Journal of Preventive Medicine. When gum disease was treated, hospital admissions were also 39 percent lower among people with diabetes, 21 percent lower for stroke patients and 29 percent lower for those with coronary artery disease. 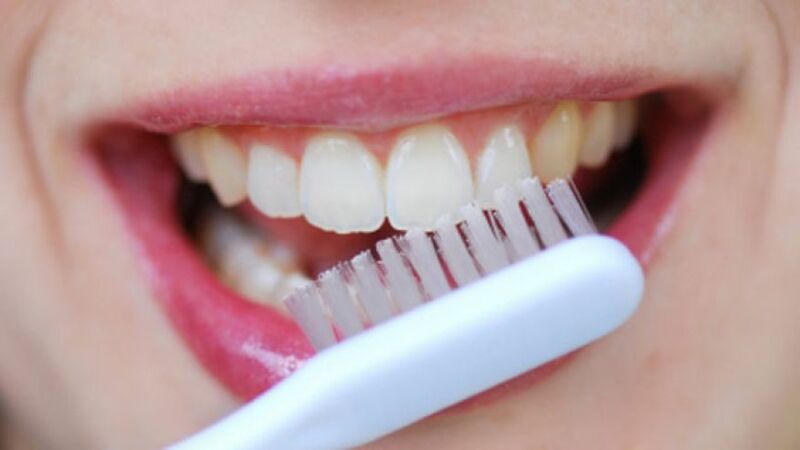 Ryan Demmer, who has studied periodontal disease at the Columbia University Mailman School of Public Health in New York, said it’s plausible that microbes in the mouth can cause problems elsewhere in the body, but more research is needed because studies have shown mixed results. Demmer, who was not involved with the new study, said it was a creative and innovative way to address the question using existing data from insurance records. The authors agree that their study doesn’t prove treating gum disease improved other conditions. For instance, it’s possible that people who elected to have their gum disease treated also took better care of themselves in general. But Jeffcoat believes the findings are strong enough to recommend that doctors have their patients checked for periodontal disease. Screening for periodontal disease is an easy procedure, Jeffcoat added. “Checking someone for periodontal disease can take as little as three to five minutes,” she said. Men, who keep a mobile phone in their trouser pocket, could be affected with male fertility, according to a new study led by the University of Exeter. A team led by Dr Fiona Mathews, of Biosciences at the University of Exeter, conducted a systematic review of the findings from ten studies, including 1,492 samples, with the aim of clarifying the potential role of this environmental exposure. The researchers found that this proportion fell by an average of 8 percentage points when there was exposure to mobile phones and similar effects were seen for sperm viability. The effects on sperm concentration were less clear. Dr. Mathews said that given the massive scale of mobile phone use around the world, the potential role of this environmental exposure needs to be clarified. 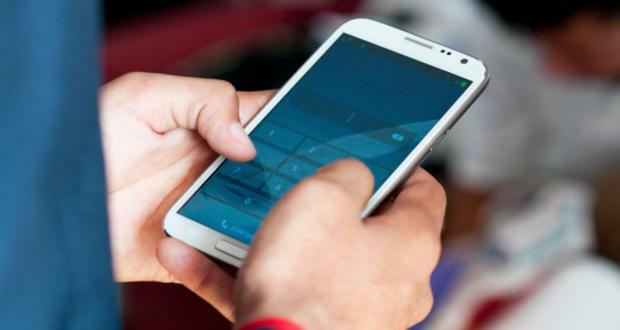 Dr. Mathews asserted that this study strongly suggested that being exposed to radio-frequency electromagnetic radiation from carrying mobiles in trouser pockets negatively affects sperm quality. The study is published in the journal Environment International. Are you eating all the right veggies and fruits but your face still lacks the luminescent glow? Believe it or not the skin care regime is missing some essential vitamins. The aging signs can be reversed by the help of nutrients. 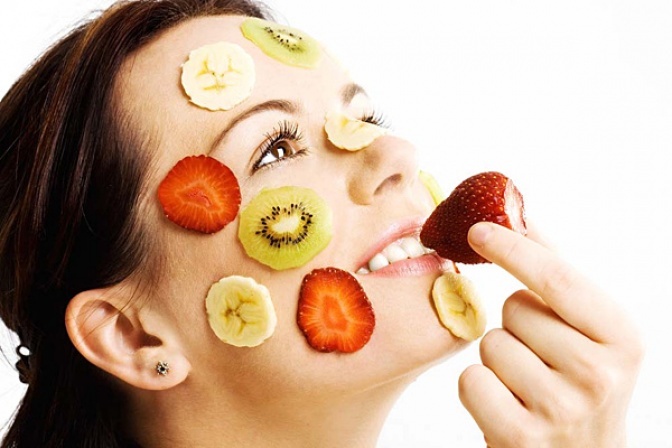 Even if a balanced diet holds the key to a gorgeous skin , according to Mary Lupo, MD, clinical professor of dermatology, “the body delivers only a certain percentage of vitamins to your skin, no matter how much you ingest.” The diet does keep the skin superfine but it may not do the needful for the blemishes, under eye skin and facial marks. This means that we have to topically apply the vitamins in the skin to make it glow and look better. This is an important part of the night creams and OTC lotions. They contribute greatly to the removal of blemishes like brown spots and reduction of the wrinkles; they also help in smoothening the rough skin. They help in reducing age lines and thus make the person look younger. Make sure that you apply the cream at night as the sunlight works negatively on the vitamin and neutralize its action. The creams with retinoids may cause irritation and redness so apply in very little quantities, every alternate day in the beginning. The skin is protected by an outer barrier made up of fatty acids and ceramides. This helps the skin retain moisture and ward off substances that cause skin irritations. So if the skin is sensitive and prone to dryness then use Vitamin B3 creams for reducing skin redness and keeping the skin hydrated. It also helps in minimizing the dark spots if used in morning and night. Mixing a retinoid cream with niacinamide or Vitamin B3 provides great anti aging benefits. Skin care benefit is maximum from the creams that show a concentration of more than 5% of vitamin C and are stored in air tight containers. Vitamin C helps ward off the sagging skin by making it firm and also helps in treating brown spots. Discolorations and fine lines lighten up tremendously with the regular use of Vitamin C.
Generally all after sun products and the sunscreens contain this Vitamin and help the skin retain the hydration and also quell dryness. It helps neutralize the harmful and damaging free radicals keeping it less dry and inflamed. It’s best used before heading out to the sun and also after sun exposure. Vitamin E in the skin is destroyed by UV light or sun exposure so just pick the right cream and slather it on generously. Remember now it’s not only the greens that you gorge on, concentrate on the Vitamin applications for that extra glow. Researchers have said that cyclists who drank Montmorency tart cherry juice concentrate before a three-day simulated race experienced less inflammation and oxidative stress compared to those who drank another beverage. 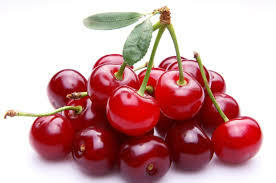 A research team led by Dr. Glyn Howatson with PhD student Phillip Bell at Northumbria University gave 16 well-trained, male cyclists about 1 ounce (30 ml) of Montmorency tart cherry juice concentrate mixed with water (equivalent to 90 whole Montmorency tart cherries per serving), or a calorie-matched placebo, twice a day for seven days. On days five, six and seven, the participants performed prolonged, high-intensity cycling intervals – exercise that was designed to replicate the demands of a three-day race. The researchers collected blood samples and found that markers of inflammation and oxidative stress were significantly lower in the cyclists who consumed the tart cherry juice concentrate compared to those who did not. At one point during the trial, oxidative stress was nearly 30 percent lower in the tart cherry group compared to the other group. Strenuous exercise can cause temporary inflammation and oxidative stress that can lead to muscle damage, muscle soreness and reduced capacity to recover quickly, explains research lead Glyn Howatson, Ph.D., laboratory director at the Department of Sport, Exercise and Rehabilitation at Northumbria University. He attributes the recovery benefits shown in the study to the natural compounds in Montmorency tart cherries. One of the natural compounds found in Montmorency tart cherries is anthocyanins. The study has been published in the journal Nutrients.